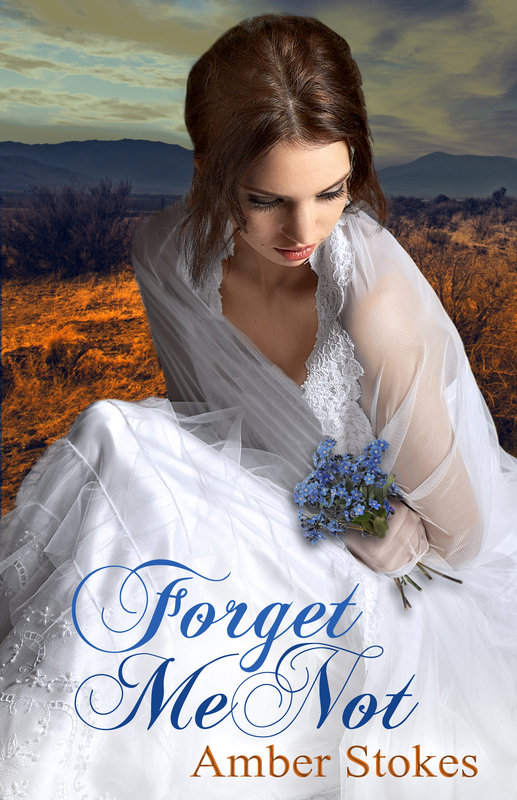 Cover Reveal~Forget Me Not. Yay! Here we are again with another book cover from Amber Stokes! Lovely, isn’t it? I know! 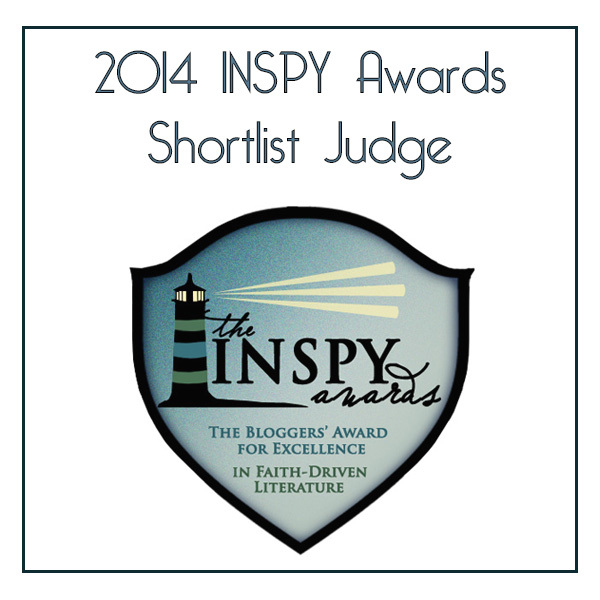 All kudos to Lena Goldfinch (cover illustrator) and Amber Stokes (Author). In case you want a cover for your book as charming as this one, just scroll down a bit and you can see Lena’s details. There is something soft and sensual about it. The blue draws you into the emotional world of the character, as though a beautiful bright day struggles against a rainy one. It’s the same with the gold of the earth. The gold wants to promise a better world, against a brown that speaks of a foreboding one. You can see the intense emotion on her face. It is as though she struggles with a tough decision, but chooses love and is determined to hold onto it. She holds the flowers in her hand—forget-me-nots—in a precious manner, as though drawing faith from what it represents—Forget-Me-Not. She wraps her arms around her body as though shutting out the cold and harshness of the outside world, and at the same time, they embrace her precious-found love, keeping them safe within. See, I haven’t read the book (as the ARCs have not been released). Just its sequel, Bleeding Heart (awesomely written book. So brave of Amber!). But I’m one who loves to read and draw out the thousand words written in a picture. I love to unlock the mysteries within. Combined with the blurb of the book, well, I’m keeping my fingers crossed and hoping my prediction is right. 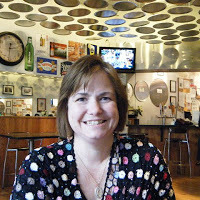 You can find all the latest news about Forget Me Not, along with book extras, at the Forget Me Not blog. Out of Amber’s generosity, she has offered a prize to one US Residential winner! 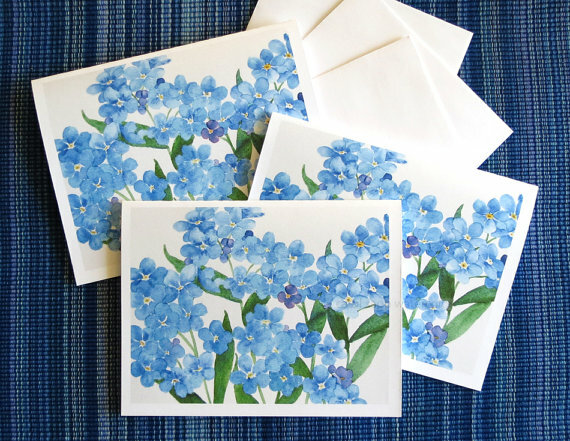 Enter the draw via this Rafflecopter form on my facebook page here (http://bit.ly/16feAET) for a chance to win forget-me-not note cards (set of three) from Carol Sapp Watercolors! And yes, it is the picture to your left! You can read this post on facebook here, and support it with a like. Agreed about Miranda’s post! And thank you so much for the kind words, dear friend! 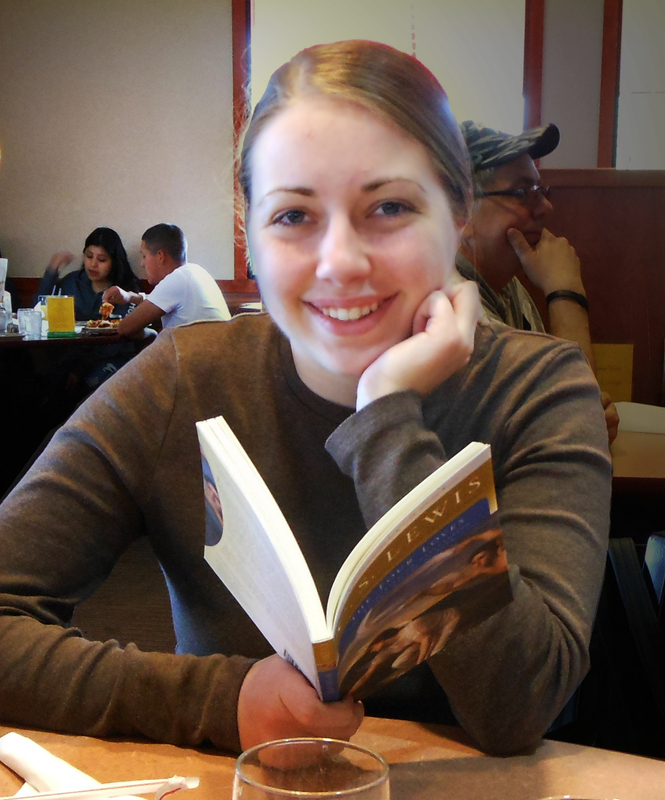 Thank you for taking the time to share your thoughts and participate in the cover reveal! Awww! Thank you Amber! And you’re most welcome. It was a pleasure joining the reveal.It was certainly fun trying to unlock the mysteries behind the picture. Loved every moment of it. Really looking forward to reading the book!